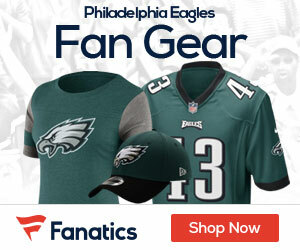 Alex Henery‘s 26-yard field goal with less than two minutes remaining proved to be the difference, as the Eagles held off the Giants, 19-17, in an NFC East clash Sunday night at Lincoln Financial Field. 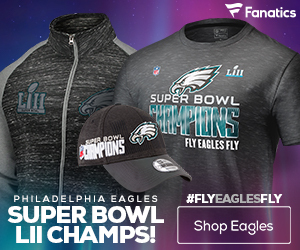 Henery’s fourth field goal of the game gave Philadelphia a two-point lead late in the fourth, but Eli Manning led the Giants deep into Eagles’ territory with the help of a pair of pass interference calls. 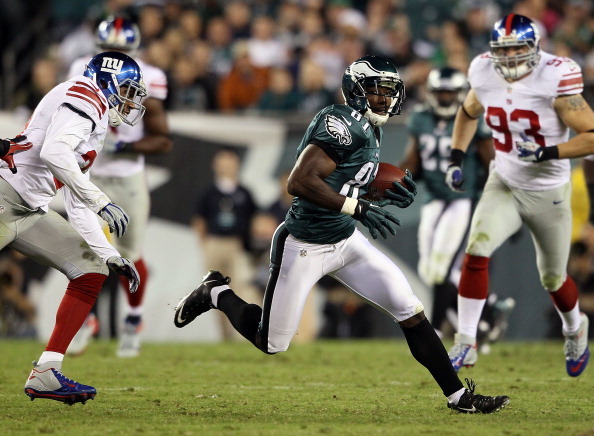 Lawrence Tynes then had a chance to win the game with a 54-yard field goal with less than 10 seconds remaining, but his kick fell short of the uprights and the Eagles escaped with the victory. Manning finished 24-of-42 for 309 yards, two touchdowns and an interception, while Victor Cruz hauled in nine passes for 109 yards and a score for the Giants (2-2), who dropped to 0-2 in division play for the first time since 1996. Eagles quarterback Michael Vick didn’t turn the ball over after giving the ball away nine times over the first three weeks. He went 19-of-30 for 241 yards and a score, and added six carries for 49 yards. LeSean McCoy rushed 23 times for 123 yards and DeSean Jackson caught six passes for 99 yards and a touchdown for the Eagles (3-1), who have won eight of the last nine matchups against the Giants, including the playoffs. Manning’s final drive started at the New York 35 after David Wilson returned the kickoff 37 yards. Following a Cruz 9-yard catch that set up a 4th-and-1, Manning lofted a pass for Ramses Barden, but Dominique Rodgers-Cromartie was whistled for pass interference to give New York a new set of downs. On 3rd-and-10 later in the drive, Nnamdi Asomugha was called for another pass interference to provide the Giants with a first down at the Philadelphia 27. New York quickly gave the yards back as Manning went deep for Barden, who was called for offensive pass interference to push the Giants back to the 36-yard line. Manning then threw an incomplete passes to Domenik Hixon and with no timeouts, Giants coach Tom Coughlin sent Tynes out for a 54-yard attempt with 10 seconds remaining. Tynes attempt sailed wide left, but Eagles coach Andy Reid called time out just before the snap, giving Tynes one more shot. The veteran’s second kick was on line, but fell just short of the uprights and the Eagles escaped with the victory.